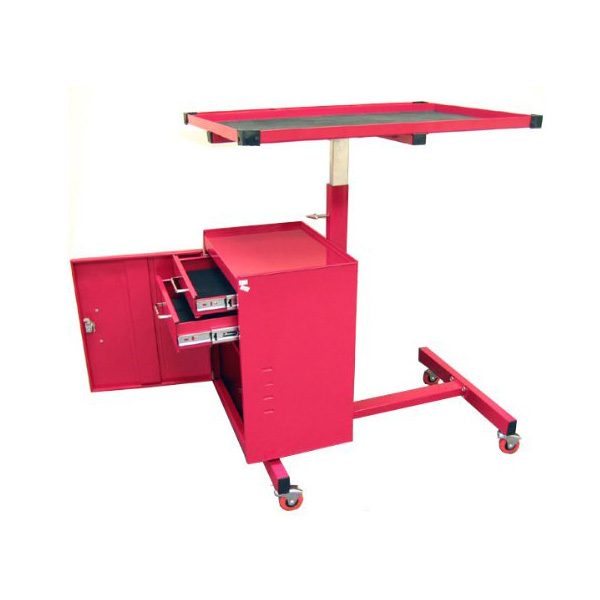 It has adjustable top tray, two drawers, lockable storage compartment with powder coat paint finish. 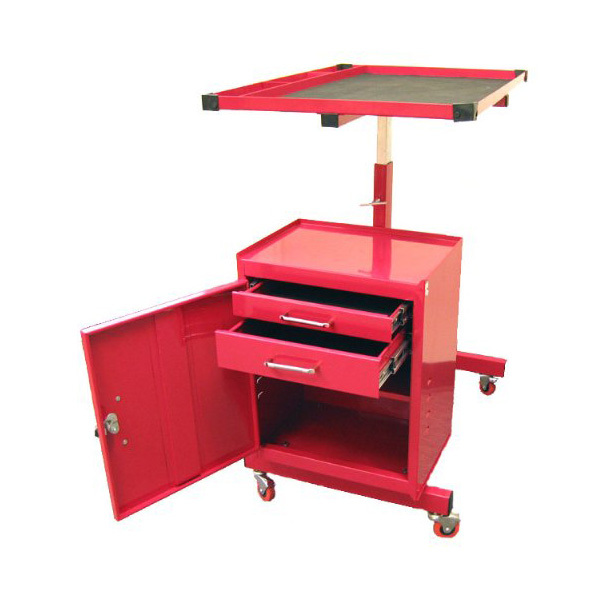 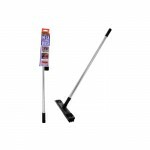 This Excel Hardware rolling metal tool with 2-drawer storage contain caster wheels, two locking along with powder coat paint for superior scratch and chemical resistance. It has adjustable height.